If you couldn’t already tell, I’m big on easy, beautiful, fun, and high impact party ideas. Here’s another total “WOW” but it would be a breeze to replicate. 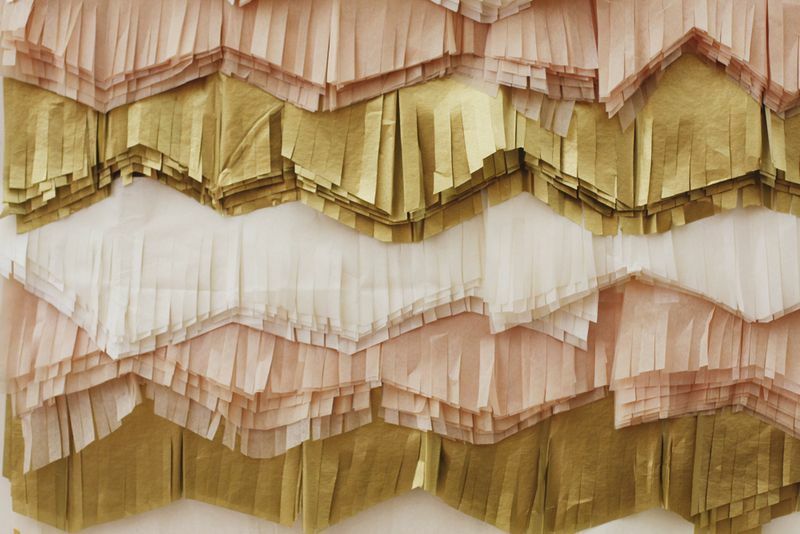 Found at A Beautiful Mess, this tissue paper fringe backdrop is something shop-owner and designer Elsie created as a display. I’m sure it’s stunning in her store but can you imagine it behind a dessert table or as a backdrop for a photo booth? I love the beauty in these muted hues, but think about how crazy fun neon would be! (Do they even make neon tissue paper?) Or even tone on tone? Or just bright and happy? Such a great idea! Loooooooove it! I know you do too! This entry was posted in idea thief and tagged a beautiful mess blog, dessert table backdrop, idea thief, photobooth backdrop, tissue paper projects by Annika. Bookmark the permalink.